Introducing the Nuvo™ Series from Panelfold. 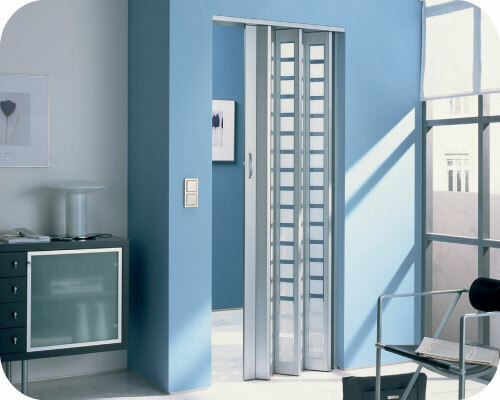 The Nuvo Series features three unique folding door models designed to accent modern, traditional or contemporary interiors. Each Nuvo model -Halo™, Visio™, and Lucent™ - features semi transparent panels, allowing light to travel through from one room to the next. Made to fit openings up to 8' 0" wide in single units, up to 16' 0" wide in double units, or up to any width in multiple joining units, these doors will fit neatly and stack compactly in any opening up to 8' 6" high. 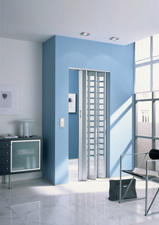 These durable doors slide quietly along an overhead track, stack compactly, and help to prevent air flow between rooms. 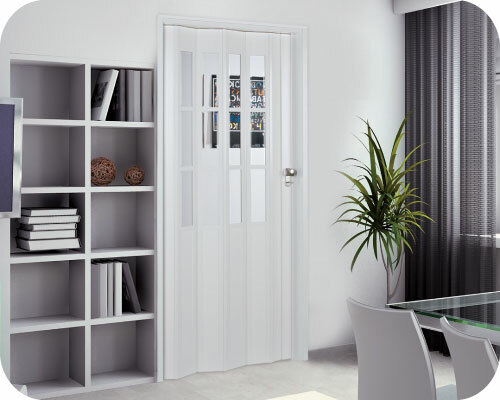 Best of all, the Nuvo line is manufactured with the finest materials and craftsmanship, ensuring the same reliable quality customers have come to expect from Panelfold for over half a century. Click on a model below or on the navigation menu above for specific features for each model. Halo - Satin-finished, translucent full lites have a subtle turquoise hue and 1/8" transparent borders to allow moderate visual privacy and a soft, luminescent glow. Visio - Transparent full lites have intermittent translucent, white satin-frosted squares to allow dramatic visual and lighting effects. 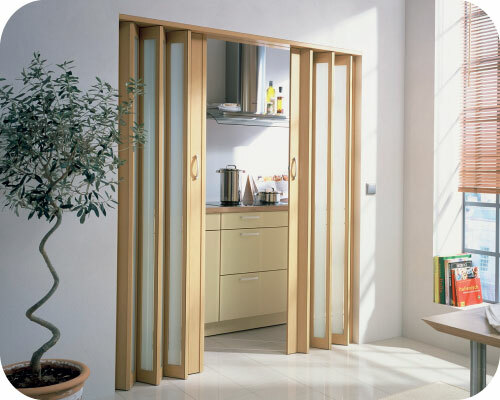 Lucent - The Lucent folding door compliments any interior. Timeless creamy-white panels with crystal clear, beveled half-lites bring glamour and light into any room.